Celtic Notes is Ann Dillon & Francie Gildernew joined today by fiddler Chris Johnson as Francie is currently in County Tyrone. Francie Gildernew is from Dungannon Co. Tyrone. He has been playing guitar and singing Irish Folk and Ballads for over 30 years playing music in the New York Tri-State area. 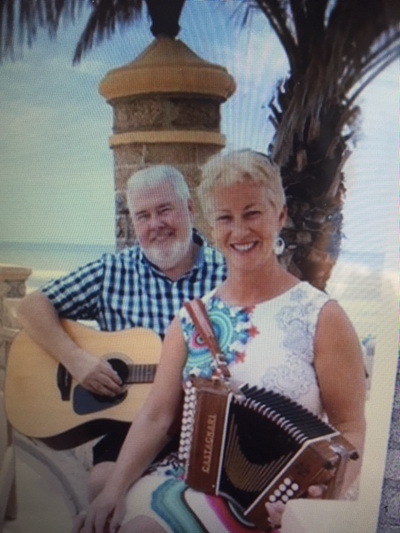 Ann Dillion is from Mullingar in Co Westmeath and is a multi-instrumentalist, accordion, concertina and tin-whistle. She has been playing and organizing music in the Hudson Valley Region Of New York for 20 years. Chris Johnson discovered his roots in a trip to Ireland in 2014 and this rekindled a passion for Irish traditional music. Since then Chris has focused on the Irish fiddle. 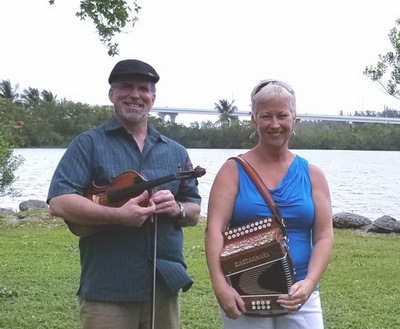 Chris loves playing and meeting other musicians frequently plays in the Irish sessions around Central Florida.